Are you ready for another sneak peek for the May release from The Cat's Pajamas? 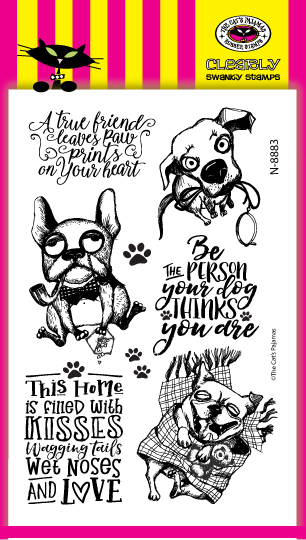 There are so many lovable stamp sets and awesome new CutUps in this release, you will not be short of any mojo to create something awesome. 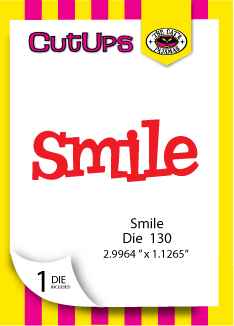 For my first sneak, I created a card using the super fun set of Pawprints. On the patterned paper, I used the new CutUp of Eyelet to create the bottom portion before adding the top layer of the image and sentiment. Copics were used to color in the image and the sentiment was stamped directly onto the panel. Isn't this image the sweetest? 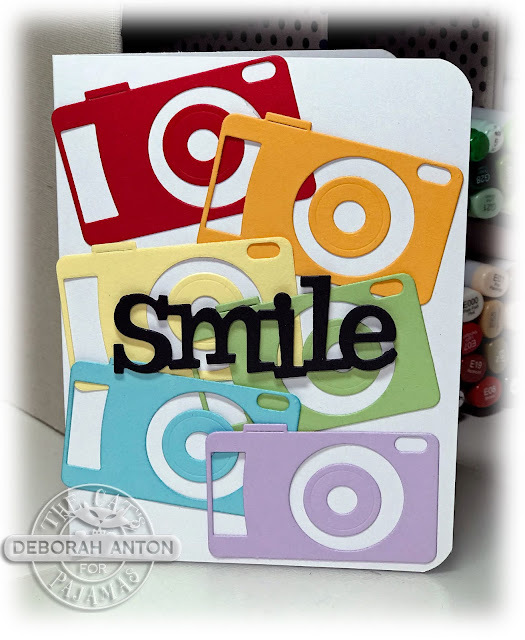 For my second card, I used the fun new CutUps of Smile and Camera to create this fun and colorful card. Leave a little love as you check out the awesome sneaks and you could be a winner! A winner will be chosen from the TCP Blog and Instagram comments. Thanks for stopping by and hope you have a great week! Mark your calendars to join us for the monthly blog hop and new release! May29, 2018. Be there! Deborah, they are both beauties (we were channeling the same vibes on the first card)but the camera card is brilliant! Darling cards! The sleeping princess is sweet and the colorful array of cameras is fresh and fun. The more I see the Ideas made from these stamps... the more I want them all! They are so Cute! Keep them coming! 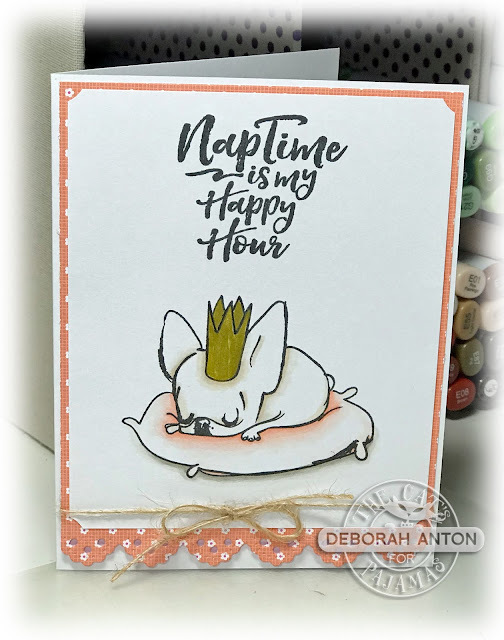 Love the naptime card! The stamp images are super cute too! Hmm. .going on my list. The sleeping pup is adorable, and I love the colorful cameras! Great cards! Ahaha... that sleeping pupper is my spirit animal! Love your card designs! Deborah I love both cards! The first card is so sweet it makes me want to join that little pup for a nap mmmmmmmm. 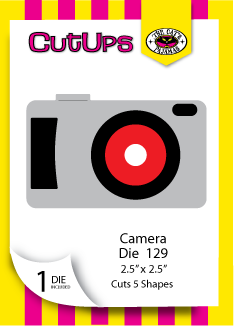 Your second card is so fun and bright I don't know what it is about cameras but they make me happy and these are no different. Well done tfs. Loving this month's images! Your naptime design is so adorable and I love your rainbow cameras. That would such a quick and fun card! Fabulous cards! Those dog stamps are so cute, and I really love that fun camera card! Fantastic cards! Adorable and fun. The dog is just too cute and the cameras are so fun in rainbow colors. Too cute! Love the gold crown of the sweet puppy! Also loving the colorful cameras! Adorable cards Deborah! Love the napping pup and colorful cameras. Great cards-- love how clean and crisp they look!! (Napping is my happy hour too, LOL!) Adorable creations!